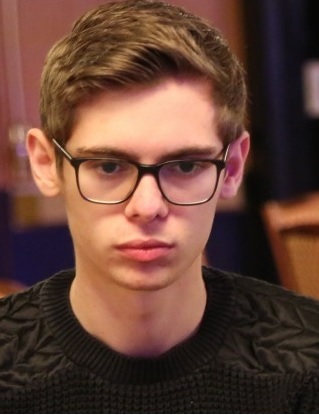 Tags: Fedor Holz, Poker Masters. Posted on Thursday, September 21, 2017 by "T". A total of 36 players attracted the Poker Masters Event #5 $100,000 No-Limit Hold'em Event, which resulted to a prize pool worth $3.6 million. This means the final six players shall be awarded at least $180,000, whereas the winner with the most earnings shall take home $1,512,000! Day 2 chip leader turned out to be Fedor Holz, who managed to rack up 1,471,000. Other players who also got healthy chip stacks are fellow Germans Steffen ‘Goose' Sontheimer with 1,354,000, and Christian Christner with 1,367,000 chips. Speaking of Sontheimer, he is the current leader of the Poker Masters with $1,221,000 in earnings after he made three final tables throughout the course of the week, and this included winning Event #2. If somehow he manages to land 2nd place, he is sure to get The Poker Masters Purple JacketTM, because Holz (who finished runner-up to him for $550K), and Schillhabel (who has earned $306K) would not be able to surpass him. On the other hand, Fedor Holz can potentially get the Purple Jacket in case he wins and have Sontheimer settle for 3rd place. Of course, there are still so many unknown scenarios and possibilities waiting to unfold, so Day 3 is expectedly going to be a very exciting day. Day 3 of the inaugural Poker Masters is scheduled at 2pm PDT at the Aria Resort & Casino in Las Vegas. Steffen Sontheimer Wins Poker Masters Event #5 For $1.5 Million! 4 comments for "Fedor Holz Leads Day 2 of 2017 Poker Masters $100,000 NLHE Event"
German players are dominating the final table. I guess everyone at the final table still has a good chance of becoming a champion of the $100,000 buy-in Poker Masters event. My money is on Stefan Schillhabel. and he is only 24.
signing up to these high roller games. I predicted yesterday that Stefan Schillhabel from Germany would take down the tournament. My prediction was incorrect. He finished in sixth place. Another German player Fedor Holz, the chip leader at the end of Day 2, finished third.